Paige Beller is singer-songwriter inspiration at it’s finest! Listening to her dynamic, soulful and penetrating voice or digging on her touching and revealing lyrics, you just want to reach out to her. Beyond her lyrics and vocals though is a broadly talented musician and a dynamic performer. 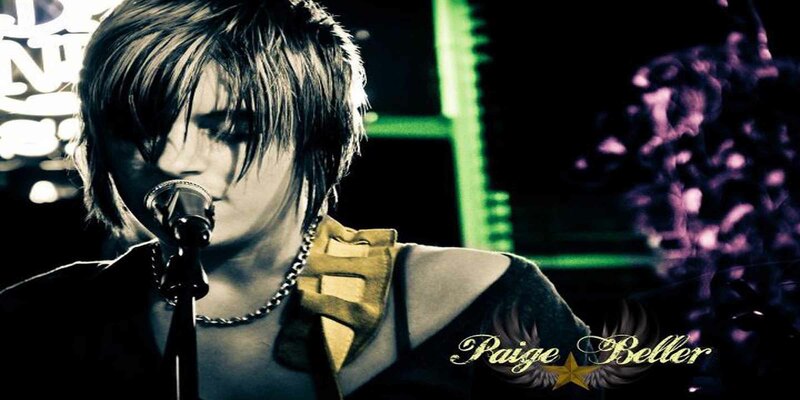 Paige is driven to write, sing and perform. When I last spoke with her, she said she is currently working in six different acts, most notably Jasper the Colossal, Mayliner, Paige and the Belairs, and her solo act Paige Does Dayton. As a full-time musician and talented song-writer, vocalist, guitarist, drummer, and performer, Paige Beller is inspiration to expose ourselves, push ourselves for what we love, and share our love of music with others. I recently had the chance to catch Paige performing solo at Angie’s All Stars Showcase as well as at Dayton Does Dayton. Both performances revealed a passionate and talented individual. Her stellar voice has great pitch, a slightly breathy and plaintive tone, and also an underlying, quiet power. Paige showcases her lovely voice and indie/alt-country solo style with interesting rhythm guitar parts, strong song-writing, and a blended sense of personal style. When she got up on stage at Dayton Does Dayton and performed with both her guitar and her kick drum while singing, she kicked down a few more of my walls about what an individual performer was willing and able to do. Fans of strong, female vocalists and indie acoustic styles should be flocking to see her and gobble up her latest album, Don’t You Dare, over at Bandcamp! If you’re more up for the high-energy rock and punk styles, check out some of the other acts she’s involved with! You can follow Paige and see what she’s up to next at www.paigebeller.com where you’ll find links to all her other social media sites, events, photos, videos, and more! You can also click any of the links below! Paige also gave a beautiful, heart-breaking rendition of Joni Mitchell’s “Coyote” in “The Last Waltz” tribute we performed in Dayton last year; I had the honor of being on the stage with her at Gilly’s. She also sang backup for Charlie Tipton’s version of Neil Young’s “Helpless” and we all had goosebumps; this girl deserves far more recognition! 2 Great Metal Shows !!! !